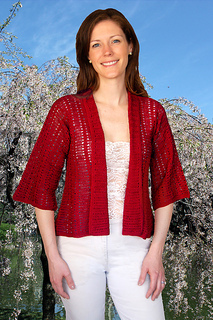 This lightweight, top-down jacket is worked in a very easy pattern of 5 double crochet followed by a 5-double-crochet fan. 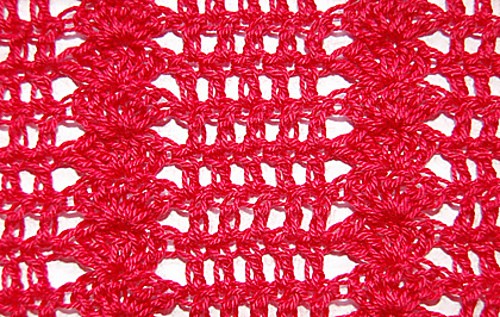 Increases for the flair are created by adding extra double crochet stitches between fans. 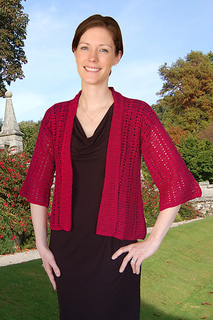 The three-quarter sleeves are worked from the shoulder down in the same pattern without increases. 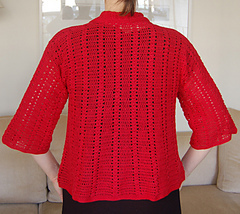 All edges are worked with 4 rounds of single crochet. 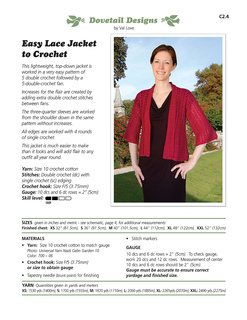 This jacket is much easier to make than it looks and will add flair to any outfit all year round.